Brynhild and Gudrun were two legendary medieval women whose fates were entwined into a brutally bea utiful epic. Each woman in her own right wielded such immense power and authority that she was highly respected and greatly sought after. Even though their paths were destined to cross in an unfortunate way, the audience is left staggered in the wake of the emotion and power of these two Maidens. A significant idea to keep in mind is the reality of their names. Each translation of the name contains the word Battle while the ending attribute places specific emphasis on the profession or unique qualities of each women. In Brynhild’s case, “Bright” implies that she is the most favored of Odin’s Valkyries. Gudrun is paired with Rune, this is a link to her magical abilities as a seer who can see the future through weaving. Both women were considered to be Valkyries, a name which means “Chooser of the dead”. 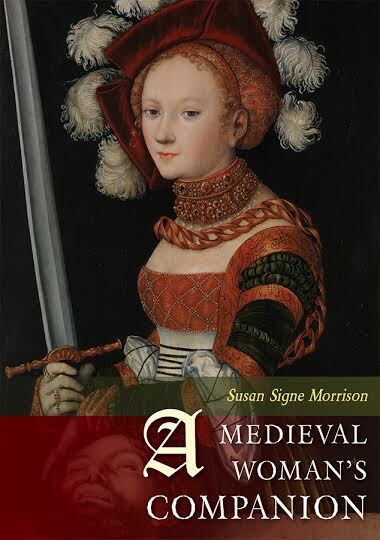 They are also referred to as Battle Maidens, Shield Maidens, Wish Maidens, Mead Maidens, and Swan Maidens. Gudrun (Guðrún Gjúkadóttir) is the sister of king Gunnar. She falls in love with Sigurd, who doesn’t seem to care for her because he is in love with the Valkyrie Bryhild, to whom he once gave the ring of Advaranaut( A magical ring that can make gold! Super sweet). 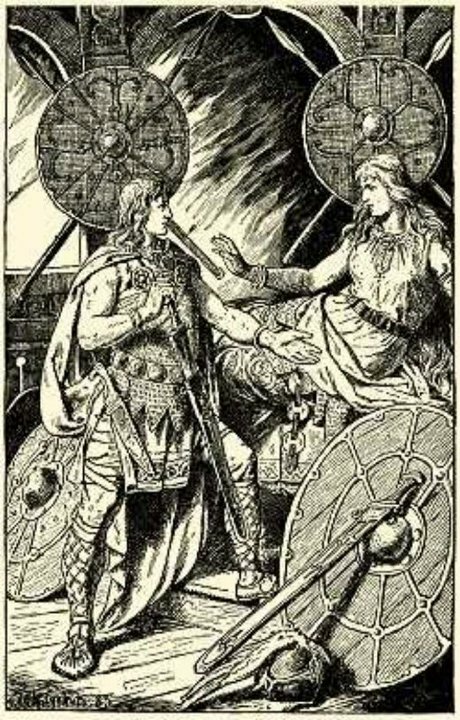 Gudrun’s brother Gunnar also desired to marry Brynhild, but this was impossible for she had sworn to marry only the man who could defeat her in a fair fight, whom she knew to be Sigurd. 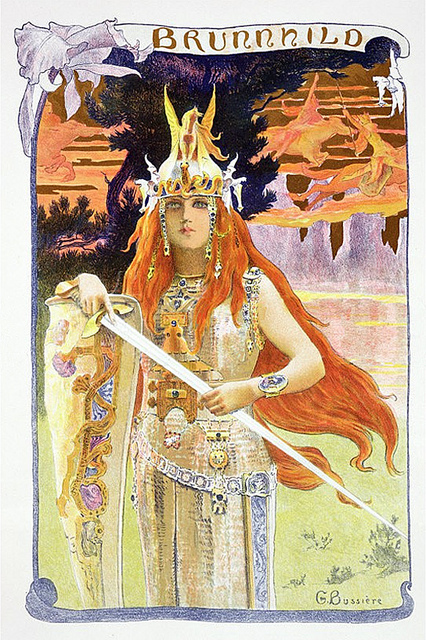 In another version of the myth, Brynhild is imprisoned inside a ring of fire as punishment by Odin. Sigurd fights his way through the fire and promises to marry Brynhild, but is then bewitched by the ring of Andvaranaut. 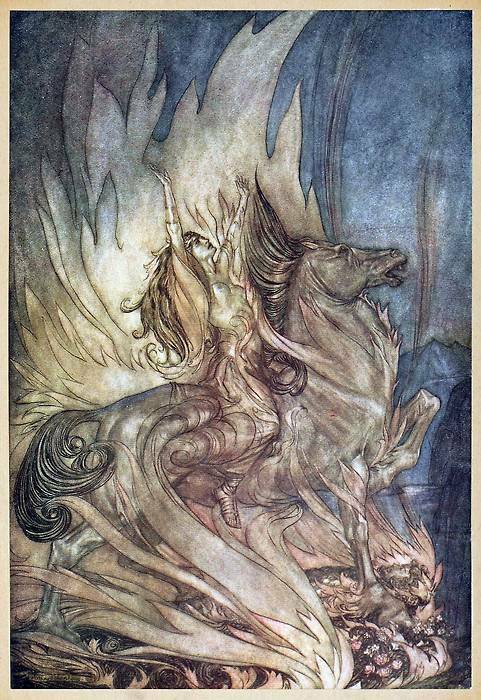 Sigurd then switches bodies with Gunnar and gallops through the fire and wins Brynhild again, she being deceived by this trick into marrying the real Gunnar. Later, when Brynhild learns of Gunnars deception and unworthiness, she is angered! 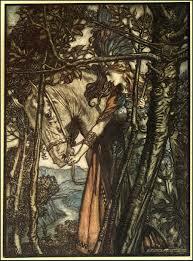 she exacts vengeance by telling Gunnar that Sigurd had taken liberties with her, so Gunnar has Sigurd killed. Gudrun is so overcome with grief at the death of the one she loves that she cannot weep. The royal court fears for her life, and when finally her sister shows Sigurd’s corpse to Gudrun, tears flow at last. Gudrun laments her lost husband and predicts the death of his killer, her own brother Gunnar. 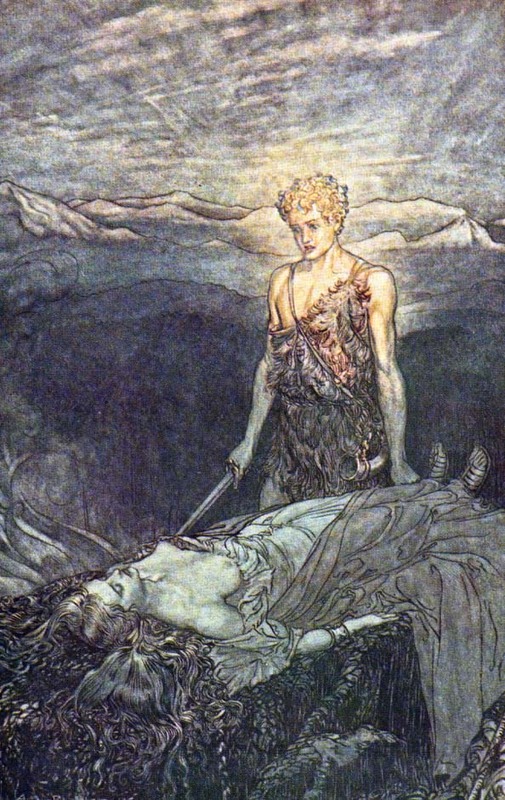 There are various versions of how Sigurd came upon Brynhild, one such story is that she was punished by Odin for assigning the wrong King to die in battle. Thus Odin condemned her to marry a mortal man. Due to this unfortunate circumstance, she vowed to marry only the strongest and bravest of warriors. 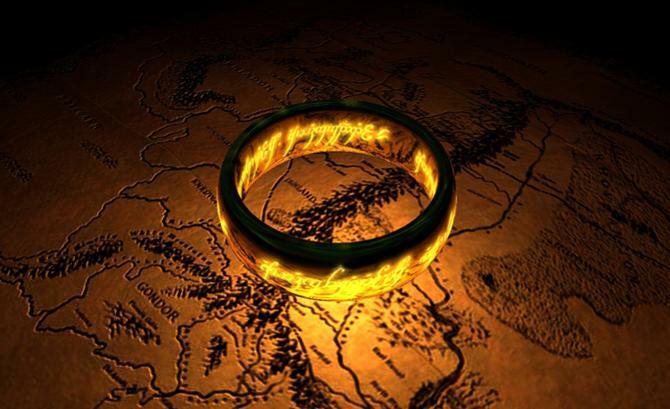 Therefore she decided to sleep in The Ring of Fire (The Lord of The Rings is roughly based on this particular item) until the bravest of warriors was able to ride through the flames.